Tune in Saturday night at 10 for Bill Cartwright playing the best of the big bands as he brings you Duke Ellington, Count Basie, Jimmy Dorsey and more. There are some classic jazz tunes on Bill's show this week. From Dave Brubeck's "Take Five" to Louis Armstrong's "Mack the Knife" and Frank Sinatra's "I'll Never Smile Again." You'll also hear songs from big bands like Tommy Dorsey, Charlie Spivak, Benny Goodman, and Glenn Miller! On this evening's swing program, you'll hear some great vocalists including Billie Holiday, Ella Fitzgerald, and Jo Stafford. There are a couple of versions of the song, "How High the Moon, " by Diane Schuur as well as Les Paul. Plus big band selections from Benny Goodman, the classic "Body & Soul," Glenn Miller, and Duke Ellington's "Don't Get Around Much Anymore." This swing show begins with vocalist Sue Raney who signed with Capitol Records at the age of 17. You'll also hear from the Four Freshmen, the Nat King Cole Trio, and Nancy Wilson. Big bands sounds include music from Gene Krupa, Count Basie, Charlie Barnet, and Glen Gray. CCJO concert at Burnet Woods with fireworks! Cincinnati Parks presents an American Red, White and Blue concert this Thursday, July 3rd beginning at 6pm at the Burnet Woods Lake, 3251 Brookline Avenue. Food and non-alcoholic beverages will be available for purchase. Kids’ games and activities will be offered, too. 6pm: CCM Prep Ensembles... 7:15pm: Cincinnati Contemporary Jazz Orchestra performing jazz standards like "In the Mood", "Tuxedo Junction," and "Take the A-Train." ...8:30pm: CCO Brass Quintet......Dusk: Fireworks!!! The Boilermaker Jazz Band will present a tribute concert to Benny Goodman in Music Hall's Ballroom on Sunday, July 6th, at 2pm. Benny Goodman, the bandleader known for such memorable songs as "Stompin' at the Savoy" and "Sing Sing Sing," was dubbed "the king of swing" during the Big Band era. The Airmen of Note - 2 free concerts! The premier jazz ensemble of the United States Air Force, The Airmen of Note, will perform in two free concerts this weekend. Both concerts are presented by Cincinnati Opera as part of "Cincinnati Remembers WWI," the opera company's citywide series of events commemorating the centenary of the First World War. Bill Cartwright has selected some classic swing selections this week including Frank Sinatra's "Witchcraft", Bing Crosby with "I Ain't Got Nobody," and Billie Holiday's "Them There Eyes." You'll also hear from big band legends like Benny Goodman, Count Basie, Tommy Dorsey and Billy May. This swingin' swing show begins with "You Do Something to Me" by legendary vocalist Lena Horne. There are also vocal selections by Linda Ronstadt, Dee Dee Bridgewater, and Eydie Gorme's "And the Angels Sing." Al Jolson is featured along with John Pizzarelli, Count Basie, and Dean Martin. 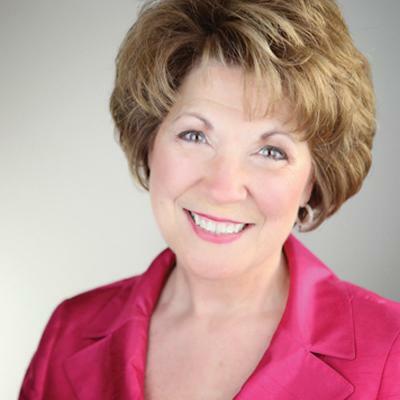 On Thursday, June 12, 2014 at 7:30pm, the 2013-14 Carnegie in Concert season closes with the return of Cincinnati music and television legend Nancy James to the intimate stage of the Otto M. Budig Theatre. Nancy James: The Voices in My Head features perennial Carnegie favorite and local treasure Nancy James reminiscing in song and story on her four decade career. Nancy James will take patrons down memory lane as she recalls her experiences beginning with CCM to the Bob Braun Show and beyond, along with a little help from her friends. You're in for a treat with this swing show. Lots and lots of vocalists including Harry Connick, Jr.; Peggy Lee, Tony Bennett, Rosemary Clooney, Frank Sinatra and Ella Fitzgerald. Plus the big band sounds of Ray Anthony, Glenn Miller and Les Brown. Our swing expert begins this evening's show with one of our favorites, Rosemary Clooney, followed by Mel Torme and Helen Forrest. You'll also hear from big bands like Glenn Miller, Benny Goodman and Stan Kenton. On tonight's show, you'll hear some of Bill's favorite vocalists including Ella Fitzgerald, Frank Sinatra, and Mel Torme, plus the big band sounds of Artie Shaw and Harry James. Bill Cartwright's lined up a fun evening of swing music during this Memorial Day weekend. You'll hear a number of big bands like Stan Kenton, Count Basie, Harry James and Duke Ellington's classic, Take the A Train. Plus popular vocalists from the swing era including Doris Day, Peggy Lee and Nat King Cole. 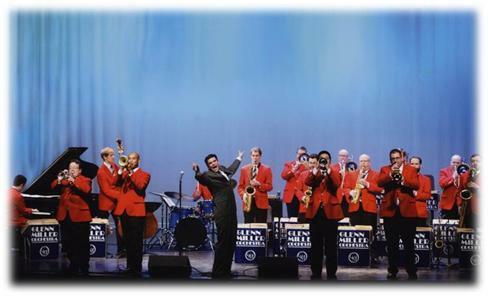 Enjoy a big band concert and dance with The World Famous Glenn Miller Orchestra on Tuesday, May 20 from 7:00 - 10:00 PM at the Ballroom. The evening will be emceed by special guest, John Morris Russell, acclaimed conductor of the Cincinnati Pops Orchestra. Tickets are $30 and are on sale now at www.CincinnatiArts.org, (513) 621-ARTS , and the Aronoff Center Ticket Office. $3.00 pre-paid parking at the Town Center Garage is also available. This Saturday night at 10 o'clock, join Bill Cartwright for some great swing bands like Artie Shaw, Harry James, and Gerald Wilson's Orchestra's version of the classic "Love for Sale." On this week's swing program, you'll be treated to music from some of our favorite vocalists like Billie Holiday, Ella Fitzgerald, and Doris Day. Plus, Frank Sinatra's version of "Fly Me to the Moon" and Mel Torme's "I Should Care." This week the swing era comes alive with music from a number of vocalists like June Christy, Nancy Wilson, and Michael Buble. Michael Buble will be coming to the US Bank Arena in downtown Cincinnati on Tuesday, July 29th. Tickets for the show go on sale Friday, May 9th. Tune in Saturday night at 10 and have your own swingin’ dance party with Bill Cartwright as he brings you the Elgart Brothers, the King Sisters, and the Blue Wisp Big Band. Join Bill Cartwright this Saturday night at 10 o'clock for a trip back in time with music from jazz vocalists Billie Holiday and Dakota Staton, plus the big band music of the legendary Benny Goodman.